For more than 30 years, D & G Electrical Contractors, Inc. has been hard at work delivering reliable electrical services to homeowners throughout Doylestown and all of Doylestown, PA. From troubleshooting and renovations to appliance hookups and lighting work, our complete range of services are at your disposal. Contact us for quality electrical and see why referrals from satisfied customers are our biggest source of business! Electrical is the largest, most comprehensive system in your home or business. When there’s a problem or you need to expand or modify this system, it’s no small task! Whether it’s installing a new ceiling fan or updating all of the knob and tube wiring in your old home, the smartest thing you can do is to call an experienced electrical contractor in Doylestown, PA. And, if you’re looking for one of the most trusted names in the business, look no further than D & G Electrical Contractors, Inc.! 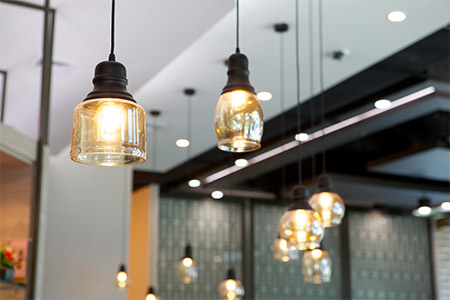 Backed by a long list of satisfied customers, we’re your go-to experts for residential and light commercial electrical projects. Our range of capabilities includes any and all demands your home might have—including fixture installation, appliance installation, troubleshooting, generator setup, lighting and much, much more, including complete home rewiring. As a licensed electrician in Doylestown, PA, we’re up to date on all codes and take great pride in our workmanship. You’ll never get shoddy work from us! And, with reasonable rates, we make ourselves available to every homeowner, regardless of budget. Our ultimate goal is to make sure your electrical system is always safe, functional and well cared-for. See why our list of referrals is always growing and why we continue to maintain a spotless reputation for excellence! We’re an owner-operated business, with master electricians on staff and more than 30 years of tried and true experience! Count on us to provide free estimates on all work, so you know upfront how much your project will cost. Our services are geared towards homeowners and we specialize in working in homes with outdated electrical systems (knob and tube). Much of our business comes from referrals! We’re proud to be the electrician people recommend to their friends and family for quality work. We’re a licensed Pennsylvania State Contractor (#022253). Got electrical problems? Let us help you make quick work of them! We’ll gladly help you handle any and all home electrical concerns, providing honest estimates and quality work. D & G Electrical Contractors, Inc.
*Regular rates apply for Sunday and After-Hour Emergencies.